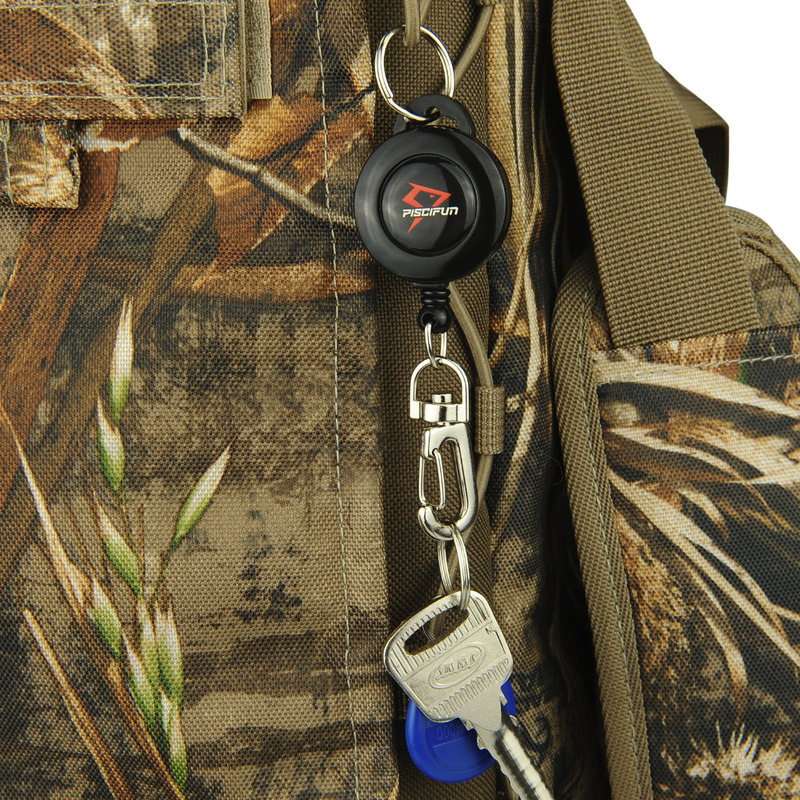 Significantly increases the durability and toughness of the cover and gives your cord a best high strength protective cover. 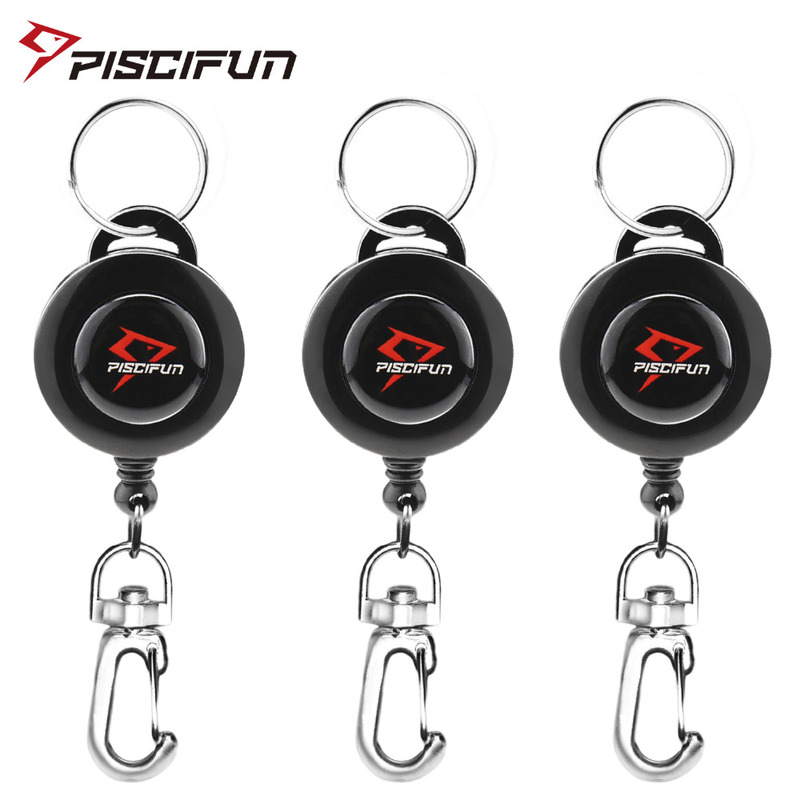 Not like the normal zinger retractor, Piscifun offer you one with 360-Degree Rotation buckle. 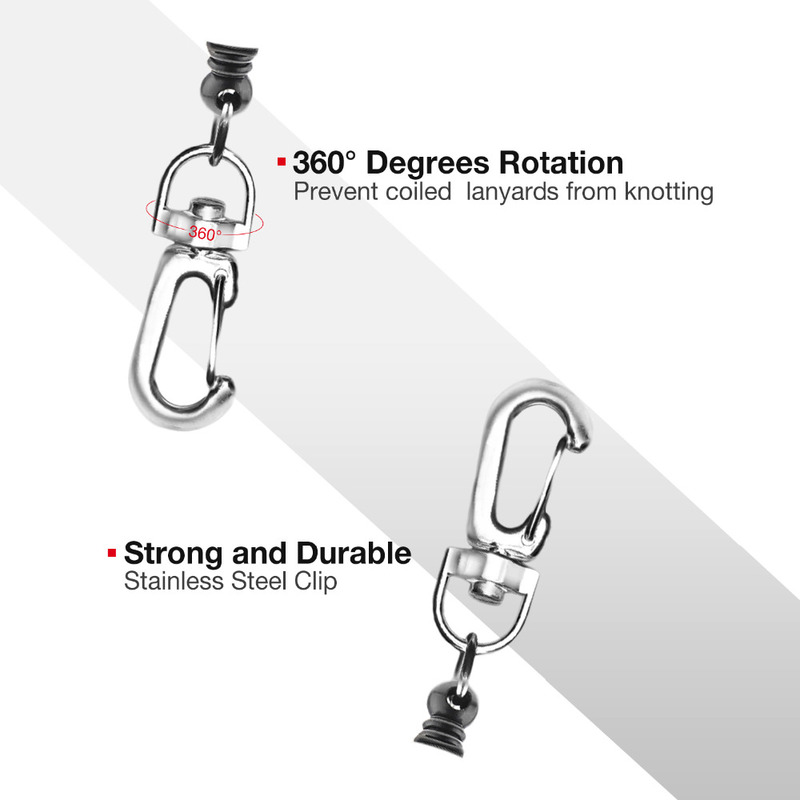 This will effectively help you prevent the coiled cord from knotting. 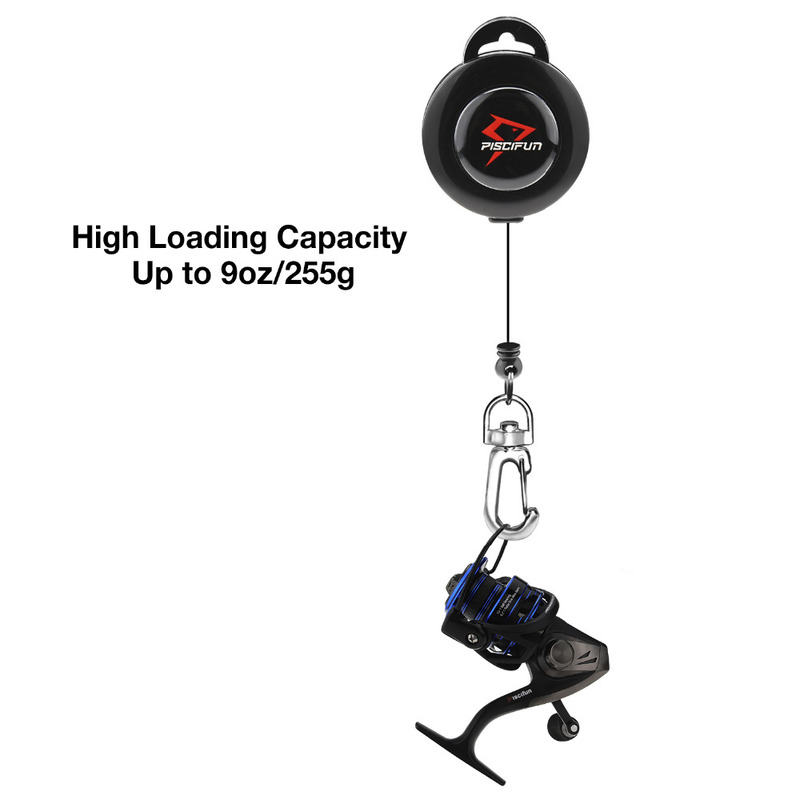 You can easily load up a 255g reel, so there is barely a chance for you to break the cord. 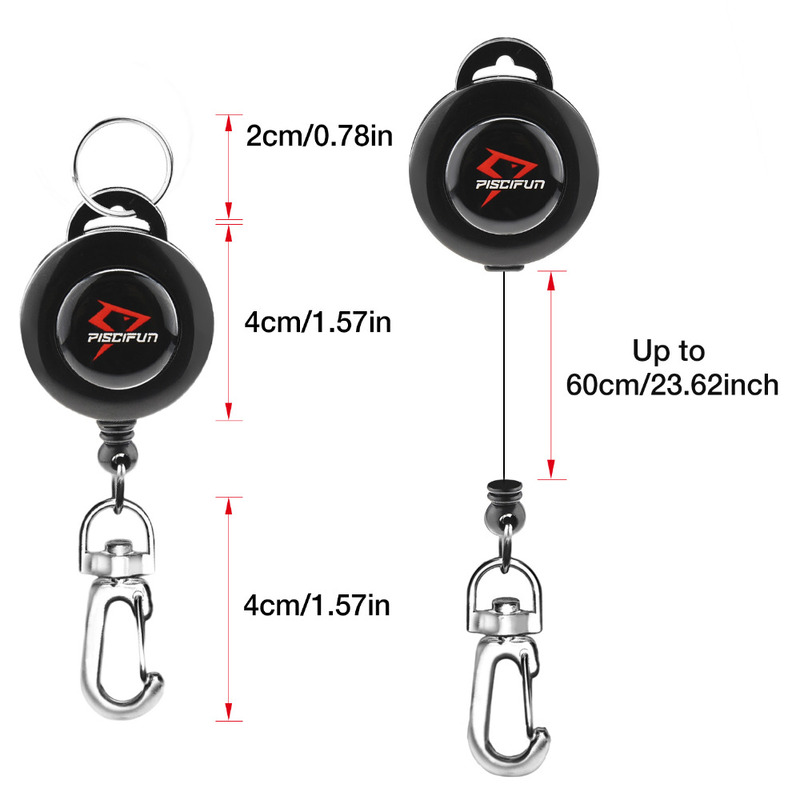 The Piscifun fishing zinger retractor comes with 60cm polyester cord, easy to retract. 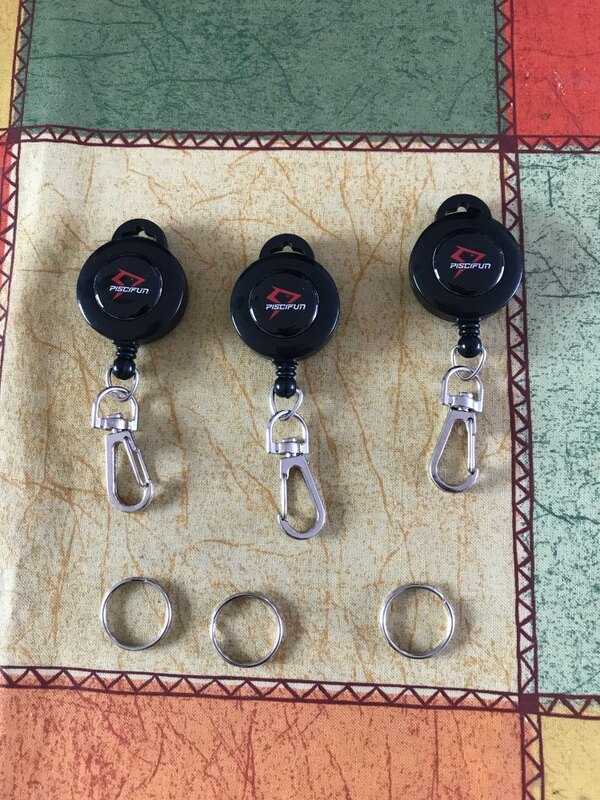 0.15lb retraction force helps you hold any small fly fishing tools. 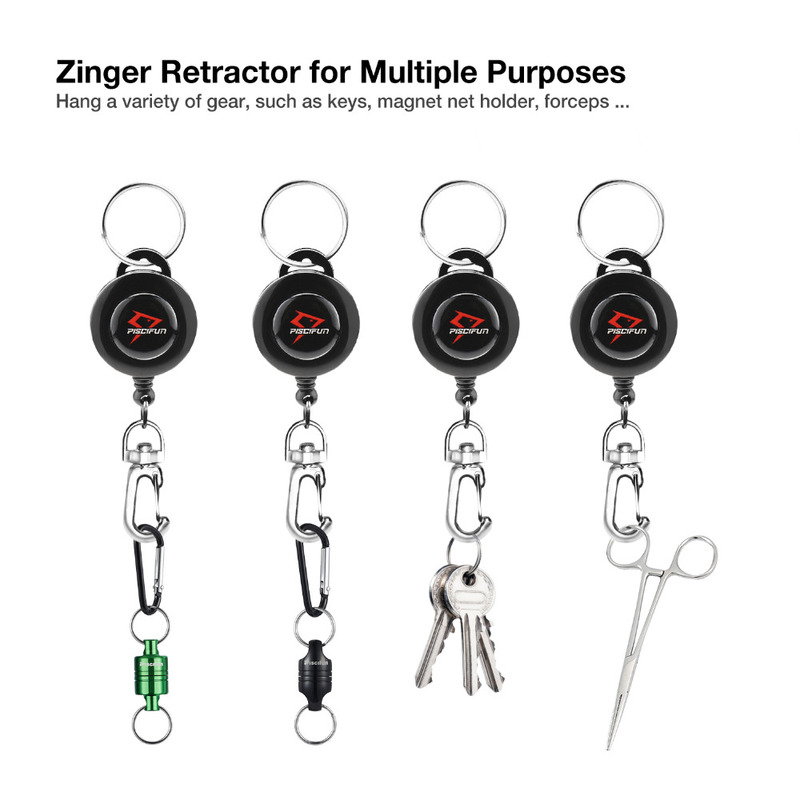 The retractor will hold a variety of tools, such as keys, line nipper, line straightener, carabiner to keep your stuff safe.A practical accessory for fishing, hikes, camping trips and other outdoors activities.Perfect for fly fishing vest or tackle bag, greatly helps you reach the accessories you need.